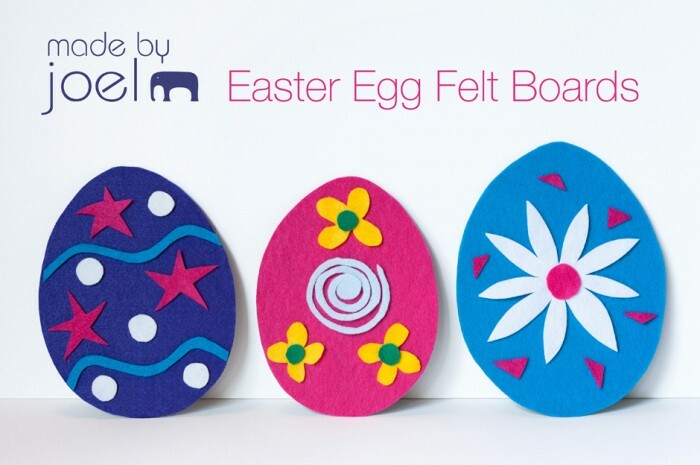 Made by Joel » Easter Egg Felt Boards! 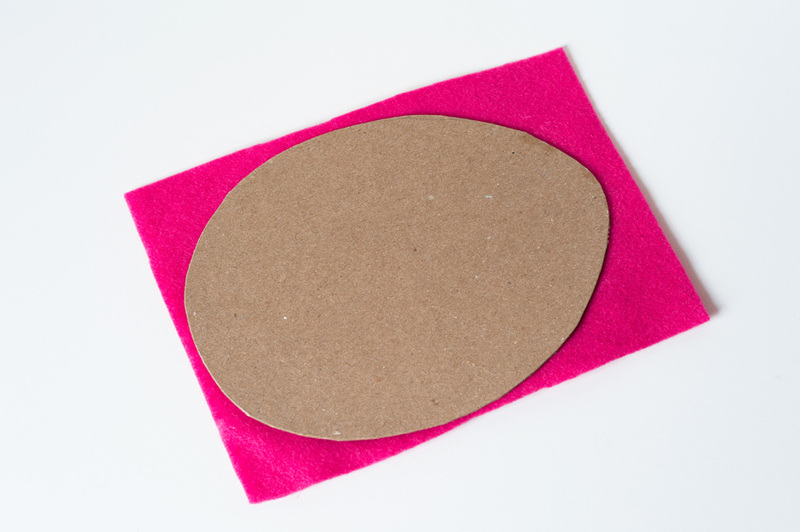 I’ve been thinking about making some sort of Easter felt board, then yesterday I had the idea to make egg shaped boards for the kids to decorate. Our 2.5 year old really enjoyed helping me, and was so excited to play when they were done! After she finishes creating a design, we put them up on the mantel with the other Easter decor. I always love it when decorations can be toys too! They were fast and easy to make, as usual! 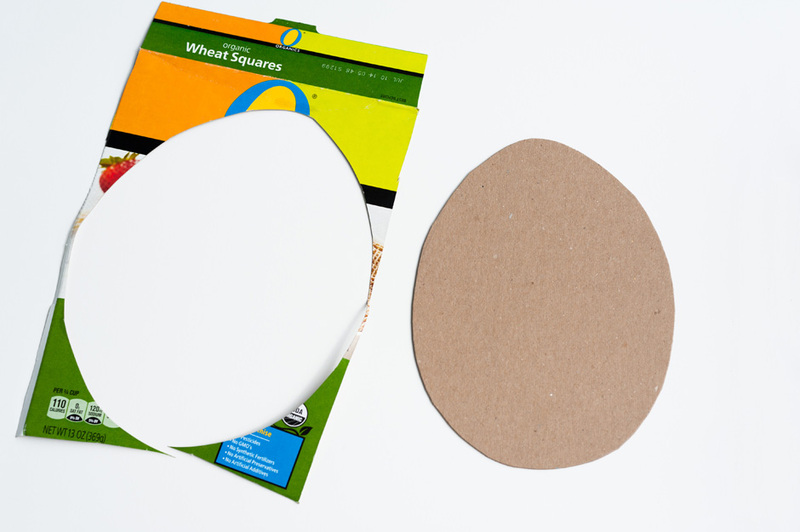 I just used cardboard from a cereal box, white glue, and felt. Below are some photos with detailed instructions if you’d like to try it out! 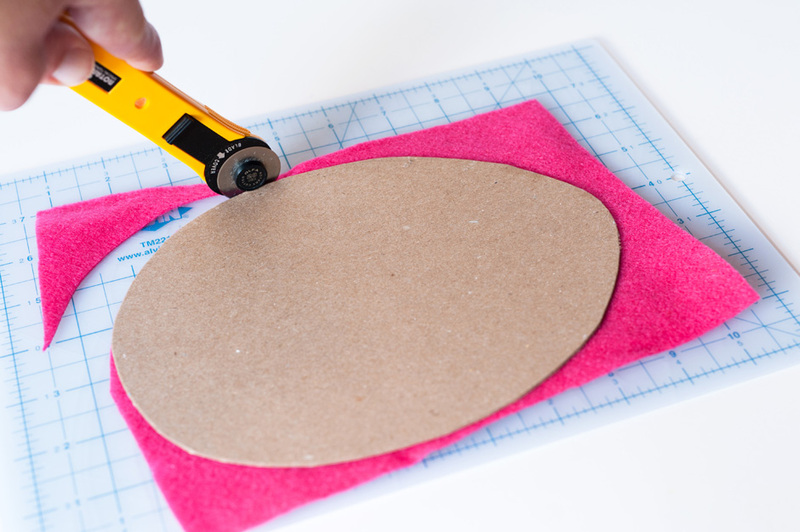 Then place the cardboard glue-side-down on a piece of felt. 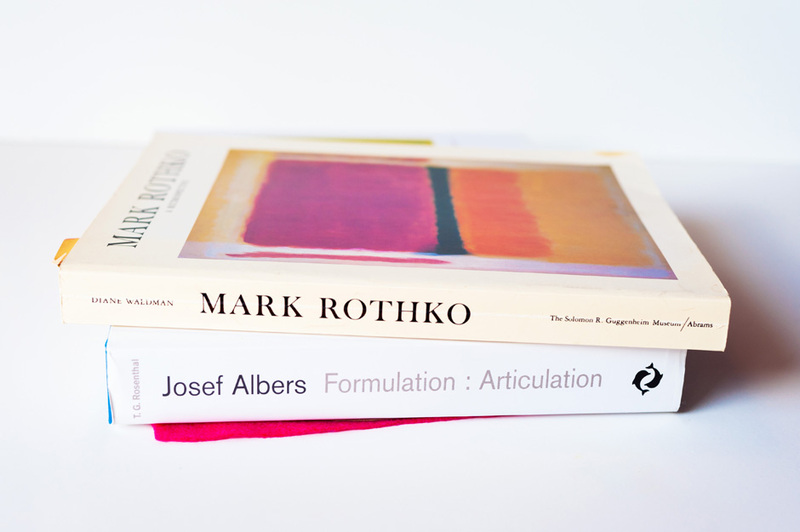 Put some heavy books on it for a few minutes. Now your board is ready. Off to make the felt pieces! I used the rotary cutter again for many of the pieces, but scissors work great too. Older kids can even cut their own shapes. Think of whatever designs you want! Thanks julie! I love the idea about a garland. That would be really cool! Wow! Your little princess is growing up and beautiful. What a great idea for a project. Thank you for all of your wonderful ideas! Thanks Marci! Yes, she's getting big so fast! Very fun! Ohhhh. I love a good felt board project and this has the potential for endless possibilities ( flower parts, snowmen etc.) 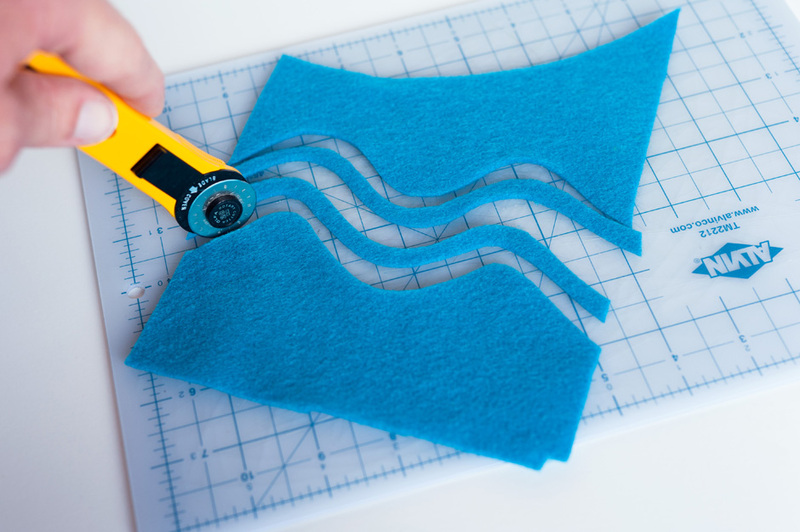 Big fan of the mini Olfa cutter (have you tried ironing your felt to freezer paper for tiny cut out bits?) Really great idea! Rock on Joel! Thanks Kimberly! And yes, I definitely need to try that freezer paper trick! Cool! This is fantastic! We will have to try this out. I haven't made any felt boards, but every time we go to the library story hour, the kids go wild over the old-school felt board. Thanks for the seemingly easy-peasy idea. Happy Easter! Thanks Ashlea! Yeah, I totally loved my dinosaur felt board I had as a kid! 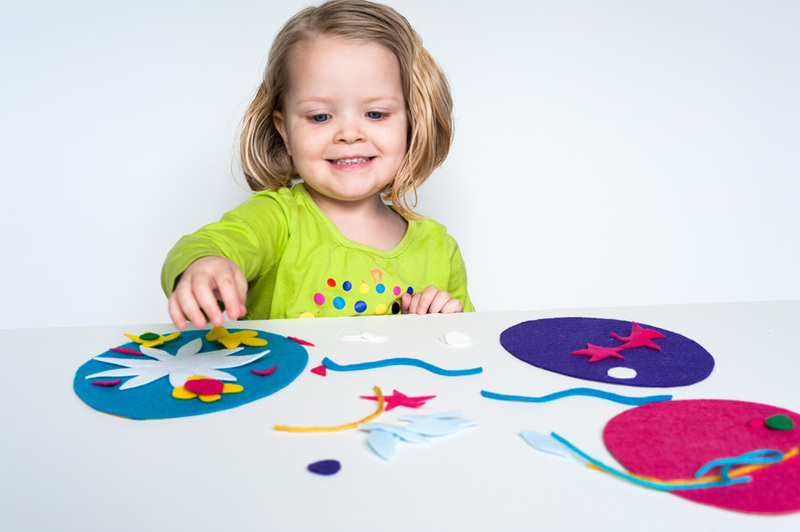 Hard to beat the brilliance and simplicity of the sweet old-school felt board toy! Actually, I should make a dino felt board too. That would be super fun. do you need glue to adhere the decorations to each egg?? 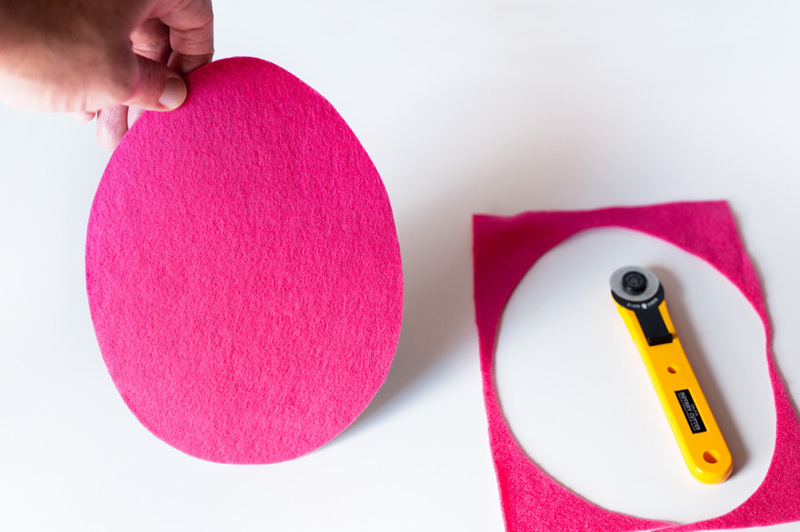 No glue needed for the felt decorations! They stick quite well, and then you can take them off and keep making new designs. Fun! 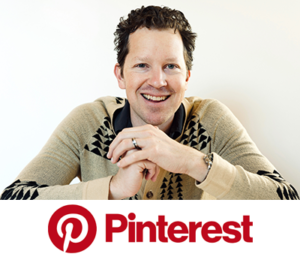 Another great idea, Joel! I made some felt Easter eggs to decorate on our felt board, but I love the idea of the cardboard backing. That would be so fun for little ones to carry around. 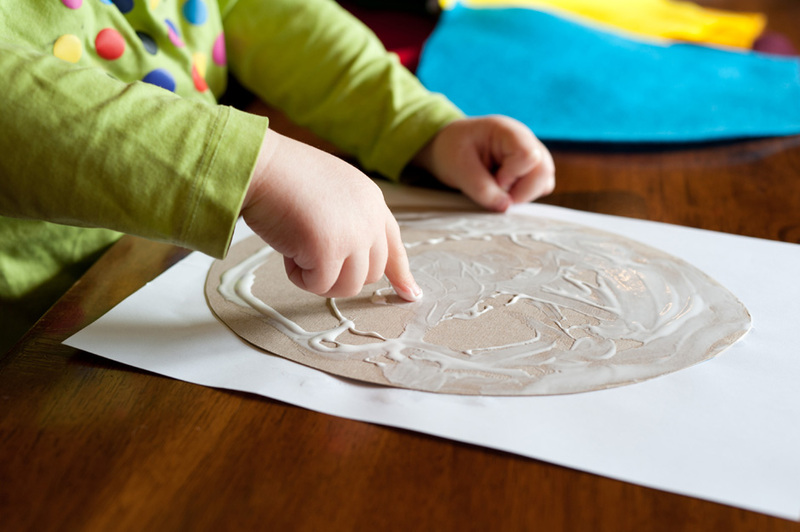 I've got to try the freezer paper idea, too, and I can't WAIT for you to make a dinosaur felt board!!! Thanks Maiz! Yeah, I've still never tried anything with freezer paper! Been on my to-do list for forever! Also yes on the dinosaur felt board! I had the coolest little dinosaur felt board when I was a kid. Sounds like maybe you had the same one. Awesome!